Statewide Pavement Structure Evaluations in Virginia - Infrasense Inc.
Infrasense has performed a variety of different pavement projects across the state of Virginia, including statewide and citywide network-level evaluations and localized project-level evaluations for rehabilitation design. 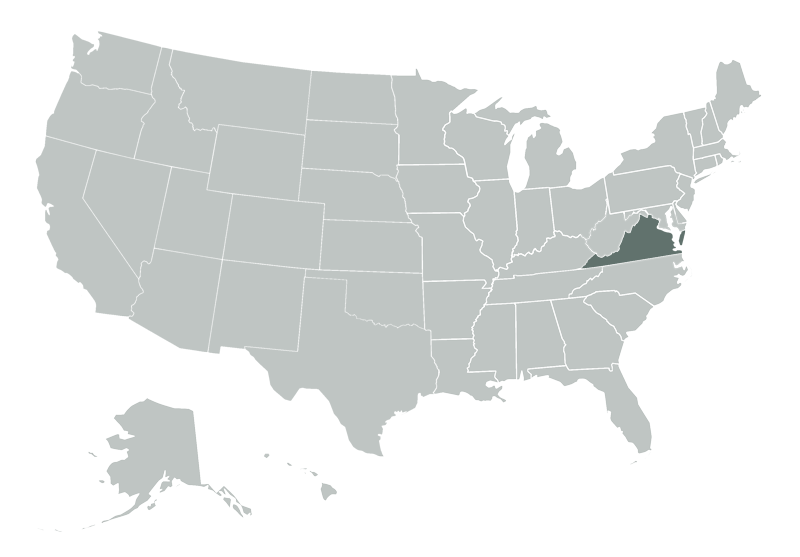 The largest of these projects was a statewide network-level pavement evaluation to support the Traffic Speed Deflectometer (TSD) structure analysis of 2,520 miles of primary roads throughout Virginia. Infrasense recommended 260 locations for confirmative coring, and a statistical comparison of the GPR and coring results; for the project, GPR asphalt thickness results are within 6% of the measured core thicknesses. 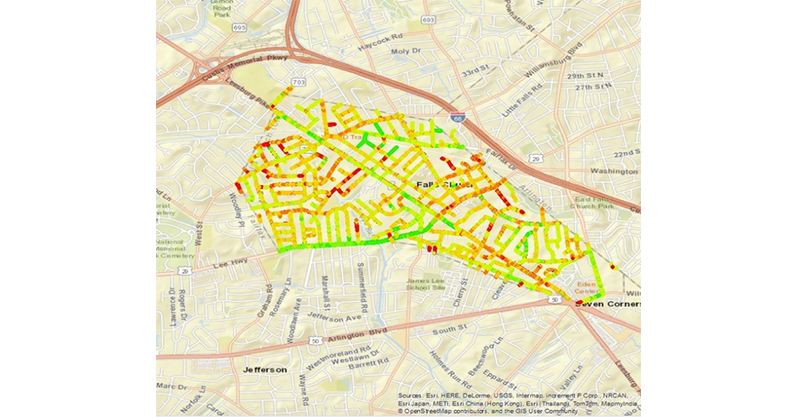 On a smaller scale, Infrasense performed network-level pavement structure evaluations for the entire city of Falls Church, Virginia. We collected 80 lane-miles of GPR and GPS data synchronously at multiple offsets on every public road in the city. The vehicle-based data collection took only 3 days and required no road closure or traffic detours. Results were provided to the client as both tabular and GIS-compatible formats. 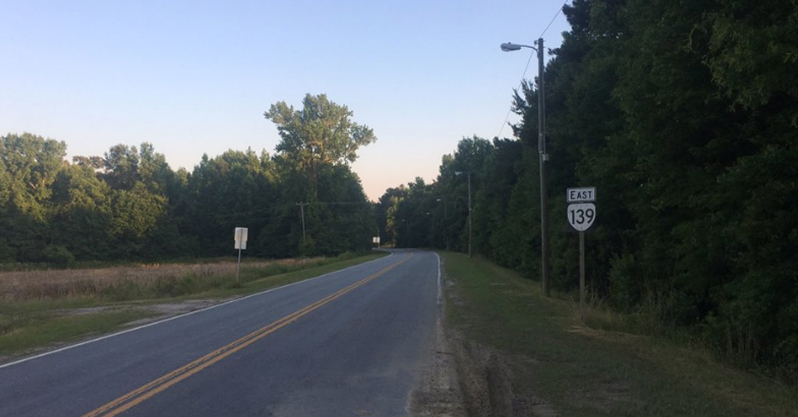 At the project-level, Infrasense has performed pavement structure evaluations at a number of different locations in Virginia to aid future maintenance and rehabilitation planning. The length of these pavement sections has ranged from less than a mile to nearly 10 miles. 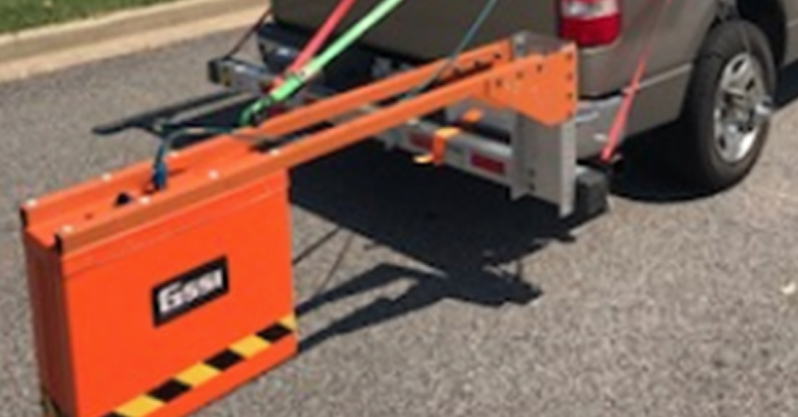 For these types of projects, GPR data is collected at multiple offsets across the lanes and shoulders in order to provide more detailed pavement structure information for each section.